Spring Singing Workshop Sold Out! Our Spring Singing Workshop this Saturday 27th April is now sold out and so there will be no tickets available on the day. We’re sorry if you’d planned to come along and now won’t be able to join us but visitors are always welcome at our Thursday night rehearsals or at our concert on Saturday 29th June. Look out for photos and a review of our Singing Workshop soon. We’ve had a lot of interest in our Spring Singing Workshop which takes place on Saturday 27th April at St Michael’s Primary School, Stoke Gifford. 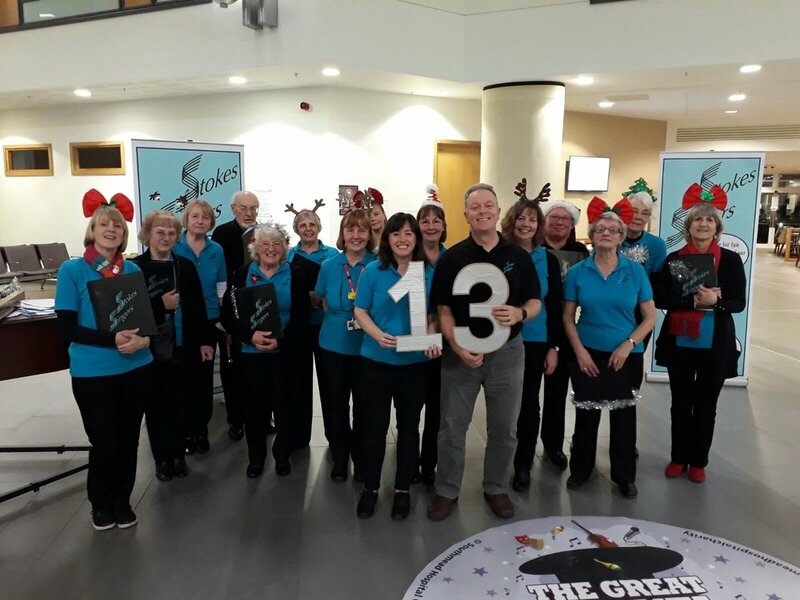 Led by our two co-Musical Directors Sian and Phil along with Nick Breeze who started the choir in 1993, the afternoon will be a whistle stop tour through 3 songs, hopefully in 3 part harmony. Whether you are a novice or experienced singer, you’re very welcome to come along and share the fun. We’ll be meeting from 1.30 for a prompt start at 2.00 and will be singing through to around 4.30pm although we will stop for light refreshments ! Tickets for over 18s are £5. To be sure of your place please contact Gillian on 0779 0909 726 to arrange payment. There may be a limited number of tickets for sale on the day but we can’t guarantee this. 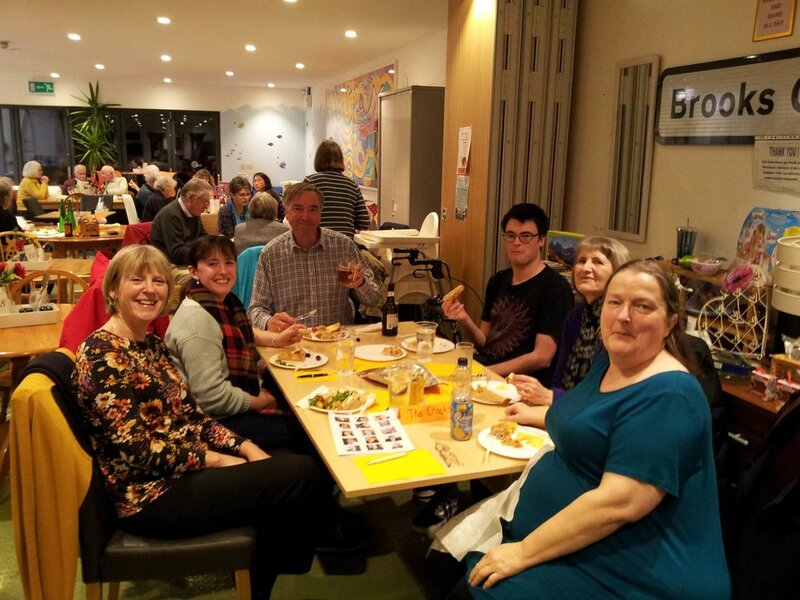 Our Quiz night and American Supper on Friday evening was a big success and brought out a competitive streak in many of our singers. A huge thank you is due to our Quiz Masters Jo and Derrick who not only devised the questions but kept everyone in order. Congratulations to The Four Musketeers who won the quiz and Team CCC, winners of the Welsh themed picture round. Neighbours, everybody needs good neighbours! This team had No Idea! No cheating from The Crooks! We’re now well into our new term and have made a good start on our music for 2019 performances. Lots of familiar faces are back again and there’s room for more, especially men and ladies with lower voices. If you’re interested in joining the choir, the next couple of weeks are an ideal time as you’ll be able to learn along with everyone else. Have a look at our new Joining Stokes Singers page for more information. Thank you to our photographer Dickie for these photos from our recent Christmas concert. Here we are at The Mall, Cribbs Causeway entertaining shoppers and supporting Southmead Hospital in their Christmas Buskathon. Thank you to those who stopped to listen and to donate to this worthwhile charity. Dickie, our photographer, snapped us from the escalator and when he got down to our level, took a few more pictures of our first Christmas event of 2018. Here’s Sian, one of our Musical Directors, conducting. A group photo at the end of our set and Phil, our other Musical Director, has left the piano to join us. Tickets for Sing Noel on Saturday 8th December are on sale now! Advance tickets are available for £5 (adults) and £2.50 (children 5 - 16 years) from choir members, from Liz on 01454 614 148 or through the ‘Contact Us’ page of this website. A limited number of tickets will also be available on the door for £6 (adults) and £3 (children). As our Summer concert was a sell out please buy early to be sure of your seat. Choir members have chosen Parkinson’s UK as the nominated charity for this year’s Christmas concert. Parkinson’s is a progressive neurological condition causing problems in the brain which worsen over time. Around 145,000 people in the UK are living with Parkinson’s; that’s about 1 adult in every 350. Parkinson’s UK are working to change attitudes and find a cure as well as offering support and information to those diagnosed with the disease and their families and carers. Refreshments will be served during the concert and donations invited for the charity. We are pleased to confirm that our guests at this year’s Christmas concert will be Oldland Brass Ensemble who will accompany the traditional carols as well as playing their own choice of music. Founded in 2002, the ensemble is led by Bob Lavis and comprises cornets, flugelhorn, tenor horn, euphonium and bass. Such an unconventional line up demands some skilful arrangements from Bob resulting in a repertoire that covers everything from ‘Mozart to Modern’ and we look forward to welcoming the players. We’re taking a half-term break on Thursday 1st November so please don’t come to rehearsal! Only 3 weeks of holiday left to rest those voices before rehearsals re-start on Thursday 6th September. There's lots of lovely music planned and the diary is filling up for November and December!